The Staff at Turn Key Auto are all ASE trained and certified emission and diagnostic technicians. When it comes to taking care of your auto and truck needs, they are the ones you want. With over 50 years combined experience, they know the answers to your questions or will work hard to find them. Pat has been is in auto tech business all of his life, starting with Volvos in 1974. He has been factory trained in Volvo and Toyota, along with several other foreign makes of cars, as well as being ASE and Emissions Certified. Pat enjoys working on a variety of vehicles and taking the time to learn each ones quirks and foibles. In his time off, he enjoys all aspects of our beautiful Puget Sound, boating being his passion. 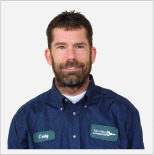 Craig graduated from Mariner High School and attended U of W, before working for a local Toyota Dealership as the Assistant Service Manger for 15 + years. He works hard to make sure that you know all of your options in keeping your vehicle running at top performance, while keeping in mind your budget. His goal is to make sure that you are satisfied not only with the quality of your repair, but also the service provided. In his spare time, Craig enjoys NHRA Drag racing, football and spending time with his family. Lori has worked in the financial sector for over 30 years. Starting in the Credit Union industry, she learned the expertise necessary to make sure our staff and customers are safe and protected financially. Lori enjoys community theatre, gardening, working on public projects and taking time with her family and friends. Lindsey is ASE Master Level Certified and graduated from UTI. Lindsey has worked on a variety of European makes, including BMW, Mini and Mercedes, for over 30 years. If you have a special relationship with your vehicle Lindsey will understand and make sure it runs at the top performance. In his time off, he appreciates a good golf course, cooking good comfort food and brewing his own micro brew to accompany it.